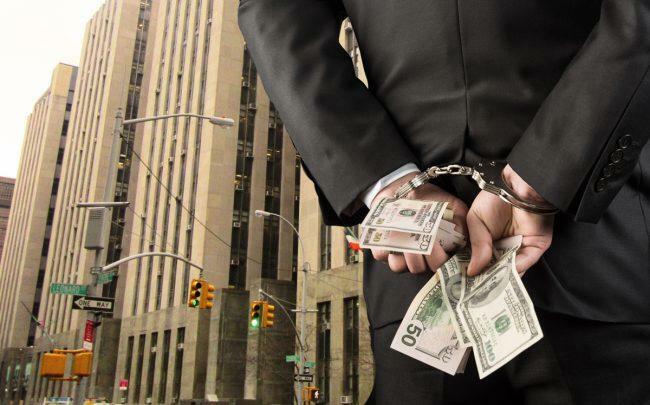 Real estate broker Lyndon Chin has been indicted for obtaining $8.5 million in unauthorized mortgage loans for properties that belonged to a 91-year-old man, according to the Manhattan District Attorney’s Office. Chin has been charged with two counts of first-degree grand larceny. He had previously acted as a real estate broker for his victim and used the knowledge he gained doing this to falsify documents in his company’s name and land $5 million in mortgage loans on four of his Lower Manhattan properties without him knowing in October 2015, officials said. He then put about $4.4 million of the funds in a bank account he opened in the name of his victim’s company, according to the Manhattan DA’s Office. Chin did this again from March through May of 2016, obtaining another $3.5 million in mortgage loans and depositing about $1.9 million into a bank account he had specifically opened for the funds, officials said. He allegedly used the money for car payments, jewelry and insurance payments and had spent all of it by August 31, 2016, court documents say. At one point, Chin used $800,000 of the money to pay back a debt to the investor, who did not know the money was from mortgage loans taken out on his own properties, according to the DA’s office. Chin’s victim, who the DA’s office declined to identify, was later rejected for a mortgage loan on a separate business opportunity thanks to the mortgages Chin had obtained on his properties, after which the DA’s office took charge of the case. The investor’s real estate holdings were also unclear. Chin’s attorney Susan Calvello did not immediately respond to a request for comment.